Ryan Coogler is riding a huge wave of success after the smash hit Black Panther debuted in theaters last week. Coogler and the rest of the cast and crew are enjoying watching the movie break all kinds of box office records and gaining general critical praise everywhere. However, many fans of the director want to know why he's not returning to Creed 2 after turning the first installment into a surprise smash. 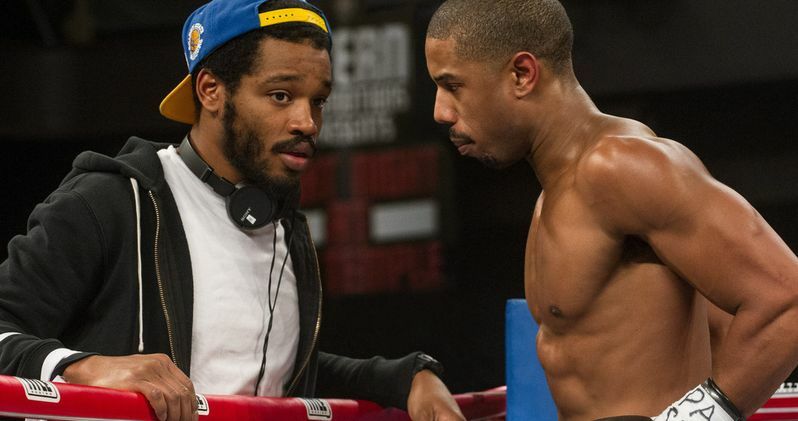 Ryan Coogler broke out with his Sundance indie movie Fruitvale Station and then went on to Creed instead of jumping into a big budget major studio project. The success of Creed led directly to Coogler's job on Black Panther, and now he's one of the most in-demand directors in the industry. Many believe that his new popularity is why he's not returning to helm Creed 2, but that isn't the case at all. When asked about the situation, Coogler talked about how deeply personal Creed was for him and how much he cares for everybody involved. He explains. "I mean of course it was possible. Creed was about my dad and me, so it's a movie that I find difficult to watch. It's difficult for me to even think about it, I've got so many emotional ties to it, not to mention you know how much I care about the people involved. I care deeply for Mike, obviously, deeply for Tessa, and I grew incredibly close with Sly in making that. These are people that I wanna see do well and win at all costs." While the first Creed movie was deeply personal for Ryan Coogler and it's difficult to watch for him, that's not reason that he's not returning for Creed 2 either. If it's not his new in-demand status or the tough emotional ties, what is it? Coogler alludes to the rush to get the movie out as the main reason he's not coming back to work on the sequel. He had this to say. "There's timing, and that film for whatever reason it had to go when it's going. I think it's a blessing that it's going, man. It's amazing that they found an incredible filmmaker in Steven Caple Jr., who's a guy I actually went to film school with, who I have a lot of love and respect for. I can't wait to see what he does with it." MGM and Warner Bros. first announced Creed 2 back in 2016, just as Ryan Coogler signed on to direct Black Panther. The original idea was to have the movie released by November of 2017 but has since been pushed back to November of 2018. Even with the sequel getting pushed back a whole year, Coogler still would not have time to work on the project. Ryan Coogler is heavily involved in the screenwriting process and for him to jump in after the promotional campaign for Black Panther would surely delay the movie even further. Sylvester Stallone and Luke Cage showrunner Cheo Hodari Coker have written the screenplay for Creed 2 and Steven Caple Jr. will be directing. Star Michael B. Jordan recently revealed that production on Creed 2 is expected to start in the next few months and the movie will hit theaters on November 18th, 2018. You can read the rest of the interview with Ryan Coogler where he talks about Black Panther and Creed 2 over at Variety.